Indeed, the “experts” of science are so often wrong that it makes their arrogance laughable, and today we have yet another example of an emerging, unexplained technology that’s sending physicists back to the drawing board to rewrite the supposed “laws” of how the universe works. Invented by engineering pioneer Roger Shawyer nearly 15 years ago, the EM Drive has long been ridiculed by “mainstream” scientists in much the same way that cold fusion (Low Energy Nuclear Reactions) have also been widely ridiculed by hot fusion academics. Yet Shawyer may have the last laugh after all. Martin Tajmar, the Director of Institute and Head of Space Systems at the Dresden University of Technology in Germany, has just reproduced the thrust measurements of the seemingly “impossible” thrust device, conducting his experiment in a vacuum that mimics the environment of space. He presented his findings at the American Institute for Aeronautics and Astronautics’ Propulsion and Energy Forum and Exposition in 2015. 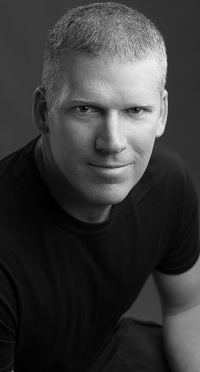 You can see his EM Drive talk listed in the event brochure at this link. 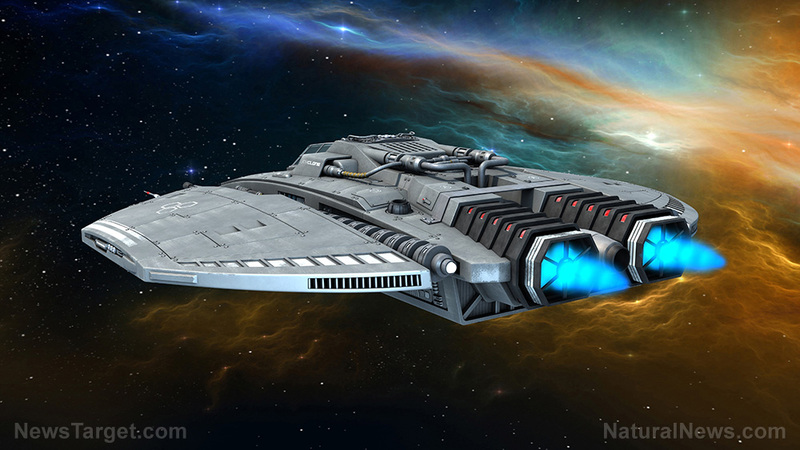 Some years ago, Shawyer claimed to have invented yet another type of propellantless propulsion system called EMDrive that only uses onboard electrical power similar to the photon rocket, but with orders of magnitude more thrust and without the need of another satellite. If true, this could certainly revolutionize space travel. 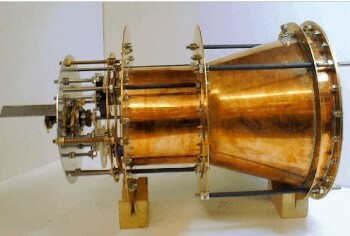 EMDrive on a balance in the upwards and downwards direction observing weight changes (=thrusts) close to his theoretical predictions using precise Q factor measurements with 16 mN using 850 W of microwave power – <b>close to 5600 times larger than expected from pure classical radiation thrust</b>. He claimed to have done checks for thermal and electromagnetic influence. Later testing was done on a torsion balance using air bearings where he observed rotation of the complete apparatus with all electronics and power supplies on-board. I’ve been watching this story for over a year, waiting for another laboratory confirmation of the thrust values. To my surprise, the UK media has begun to pick up on this development, too. Shawyer also claims that he is just a few months away from publishing new results confirming that his drive works in a peer reviewed journal. However scientists still have no idea how it actually works. Nasa suggested that it could have something to do with the technology manipulating subatomic particles which constantly pop in and out of existence in empty space. Prof Tajmer presented his findings to the 2015 American Institute for Aeronautics and Astronautics’ Propulsion and Energy Forum and Exposition this week. One of the reasons I love to cover this sort of news is because it reinforces the all-important idea that arrogant scientists aren’t fooling Mother Nature. It’s nice to see arrogant scientists humbled from time to time by new, emerging phenomena they can’t explain. Richard Feynman understood this. He was brilliant but humble, always fascinated by the mysteries of nature. Feynman fully realized that even his own vast knowledge of physics was little more than a spec of dust compared to the realm of knowledge and yet to be explored. Today, far too many scientists have abandoned the very idea that anything new might yet be discovered. They think they know everything already… that “science” has reached a plateau of absolute truth from which zero divergence is tolerated. But that isn’t science… it’s dogma. Real science is the practice of intentionally pursuing new knowledge even when you realize that new discoveries might render your existing “scientific” beliefs obsolete. For that reason alone, the EM Drive will be viciously attacked by old-school physicists and stodgy, cognitively constipated scientists. The idea that their faith-based scientific beliefs might be overwritten by new expansions in human understanding simply infuriates them. So they lash out and attack the pioneers to tear them down, suppressing the advancement of science while simultaneously protecting their “intellectual territory” and industry influence. By the way, if the EM Drive proves workable, all those sci-fi films that depict spaceships producing visible, fiery thrust will suddenly be outmoded. In the future of space travel with EM Drives, there are no visible engines. Even better, a spaceship need not have any predetermined thrust orientation, since EM Drives could be built on internal gimbals deep inside the ship and pointed in any direction to produce thrust in that direction. You don’t need to mount them on the perimeter of the ship, in other words. They can be internal. This also means spaceships do not have to “turn” to alter their direction of thrust. It also means communications gear on the outside of such craft can be permanently oriented toward Earth, making communications far easier to maintain. As a scientist myself, I can also tell you this means such ships will be built as spherical machines in order to mount the EM Drive engines in the center of mass (for all sorts of obvious reasons involving the laws of physics). Thus, future spaceships will look more like mini Death Stars than X-Wing fighters. There is no air in space. “Wings” are not necessary. Essentially, every spaceship you’ve seen in Star Wars, Star Trek and Battlestar Galactica is completely wrong.